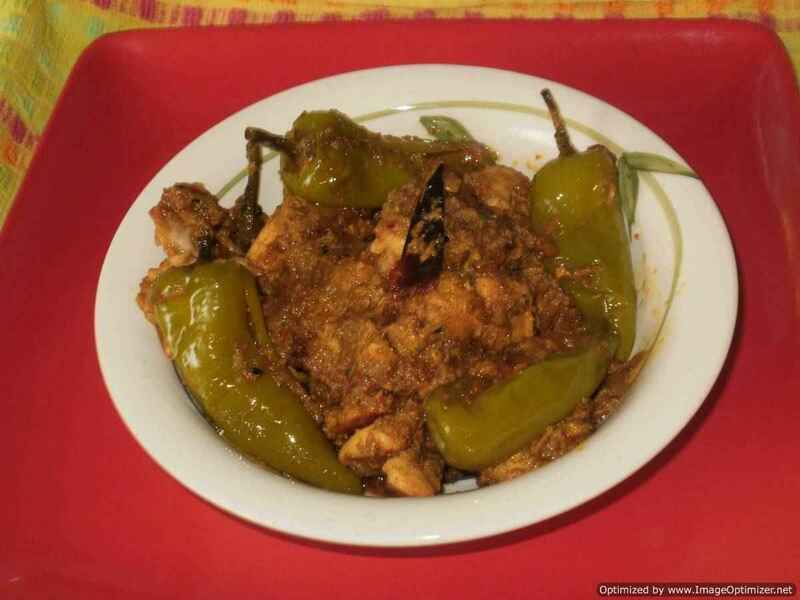 Achari Murg is a spicy chicken recipe of North India, made with the spices which go into pickle. 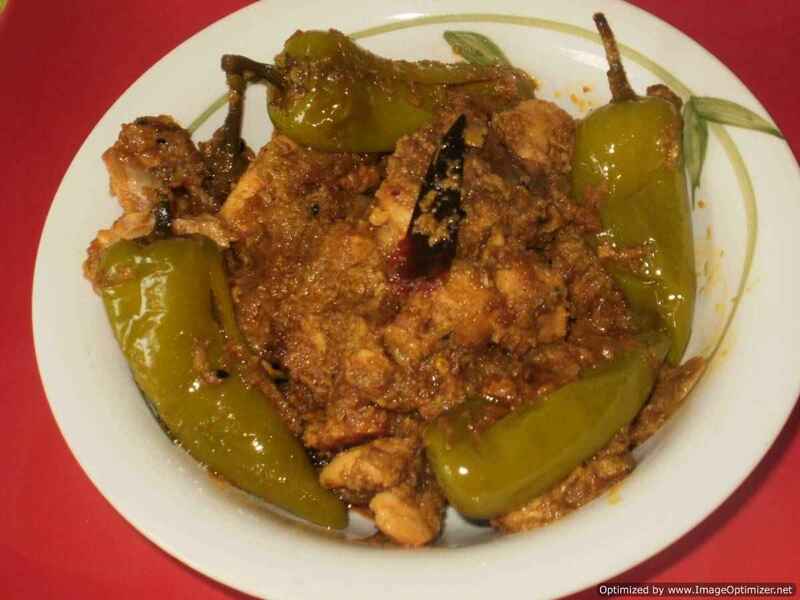 It is different from the chicken Achari (pickles), which we get from the shops and in each place chicken achari is made with different spices and taste. 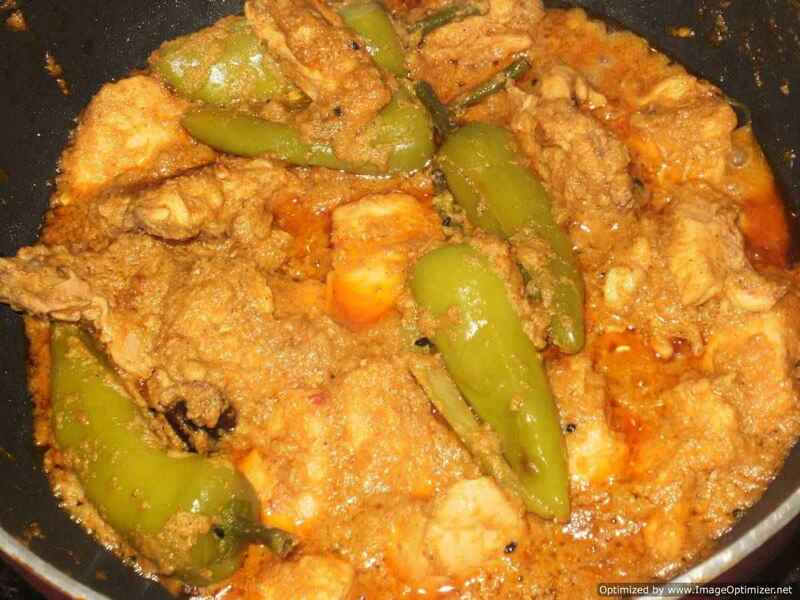 This Achari murg is different from the other curries; you can try and know the taste. 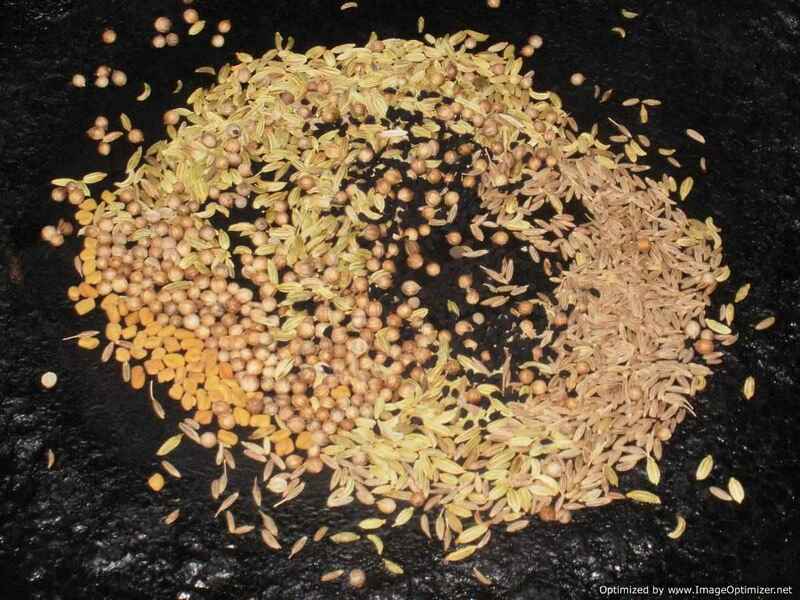 Spices are roasted and grounded in a pestle mortal or grinder. 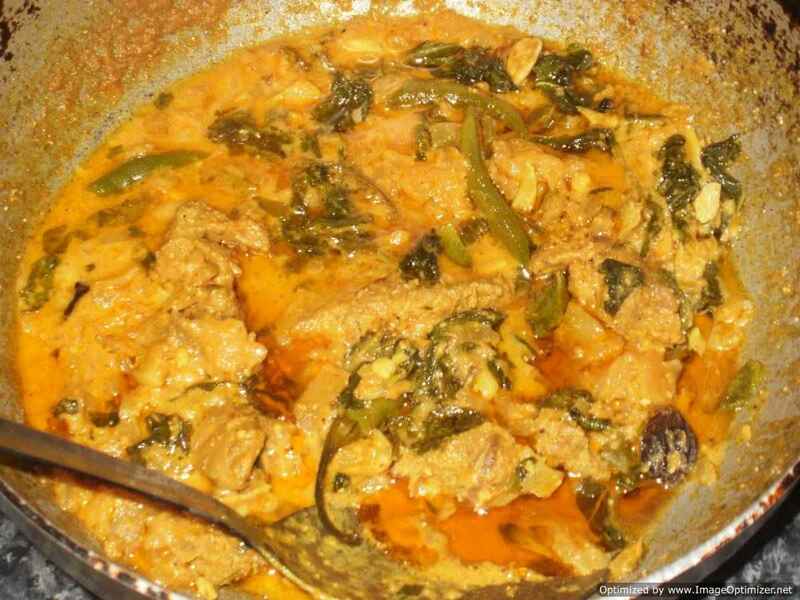 In the Achari Murg, I have added curd and lemon juice, which gives a sour and tangy taste. 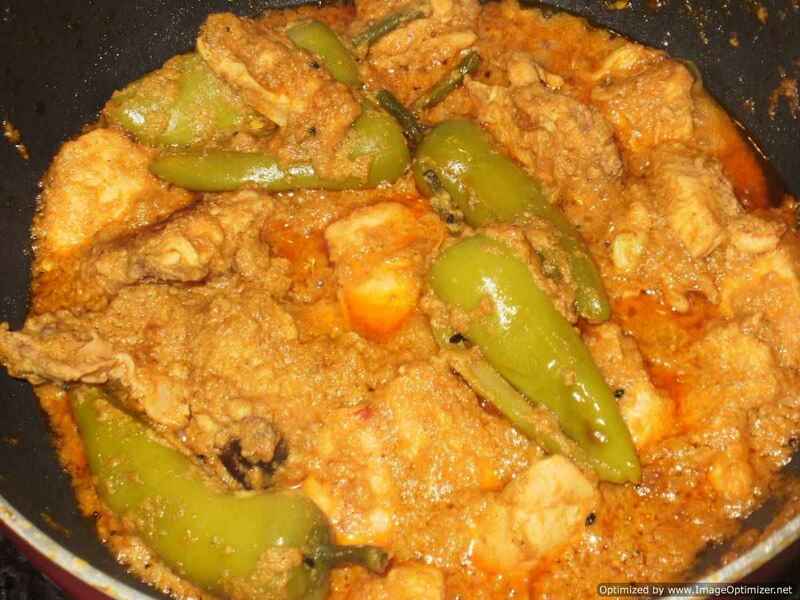 In the Achari Murg, I have added thick chillies; you can add any green chilli you like, for stuffing the roasted grounded spice. 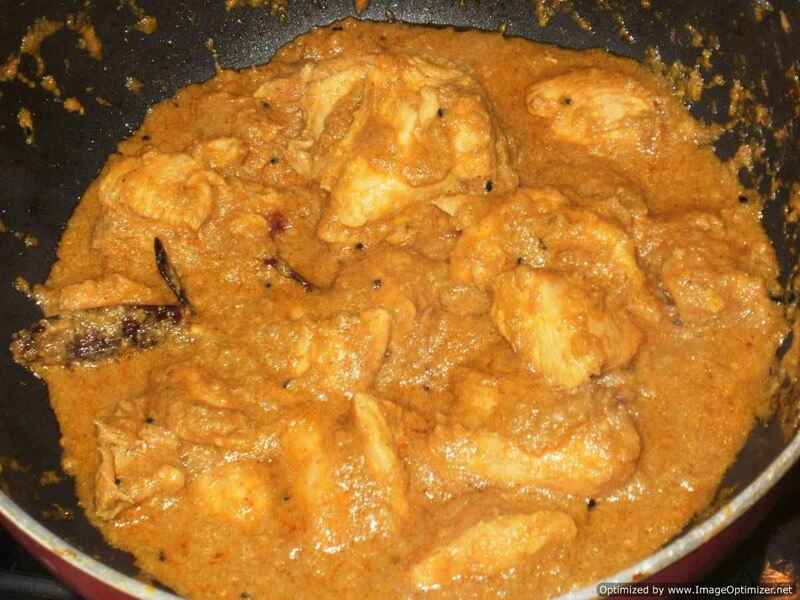 I have used mustard oil for Achari Murg (traditionally mustard oil is used) cooking, but you can use vegetable or sunflower oil. 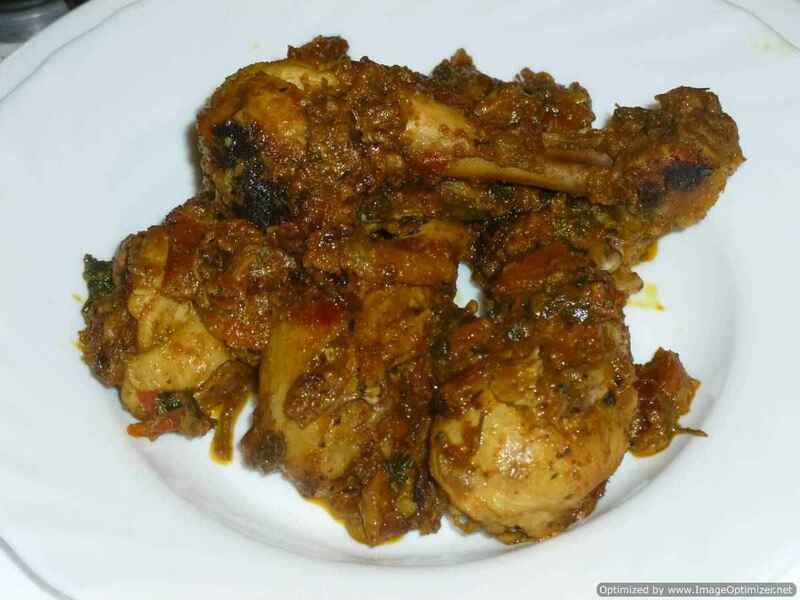 Mustard oil is unique from other oils, as it is heated, till it starts to smoke, as it will improve both its flavour and nutrional value. 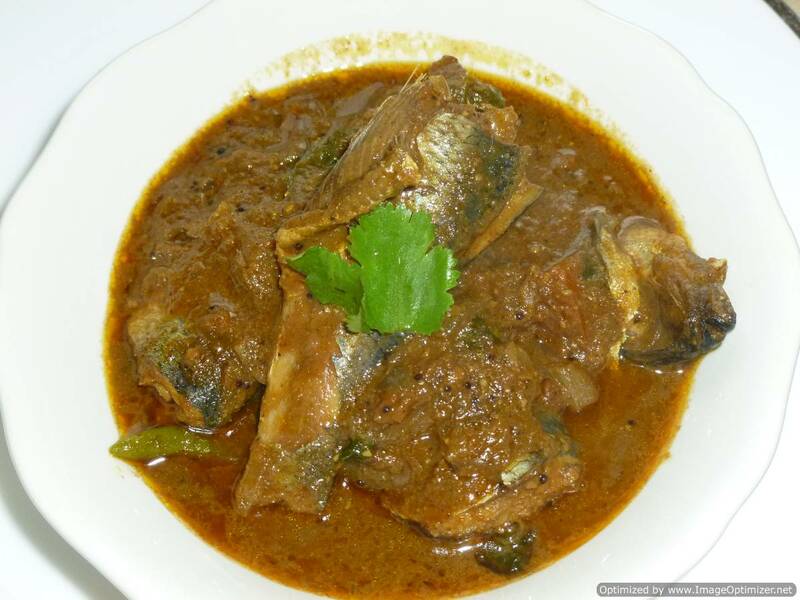 This Achari Murg goes well with chapathi (roti), plain rice, pulav, Nan. 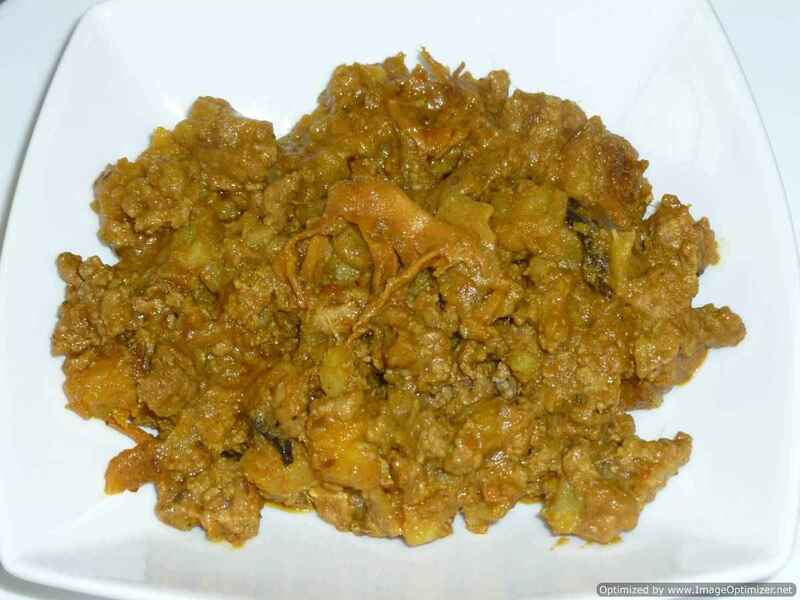 With the same spices can try with paneer, cauliflower, fish, mutton or mixed vegetable, instead of stuffing in the chilli can just add the pickle masala with other ingredients and cook. 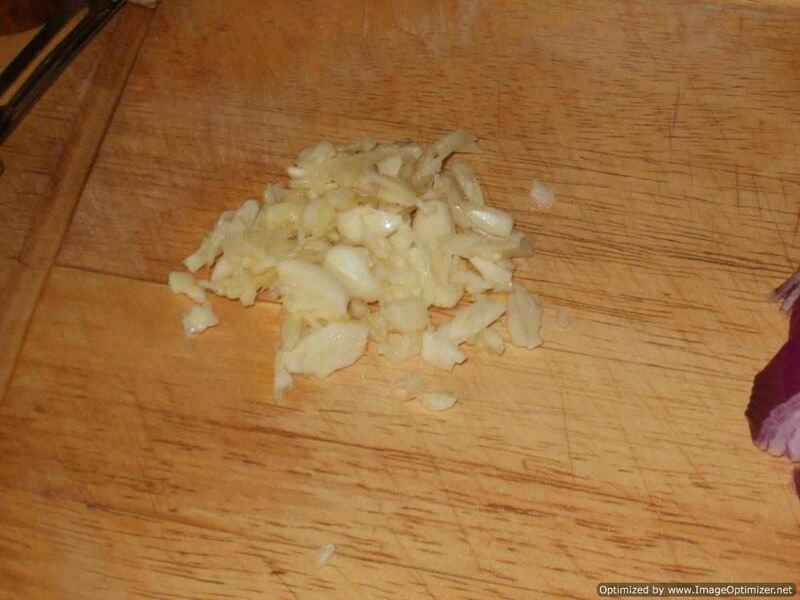 Grind onion into smooth paste and crush garlic, keep it aside. 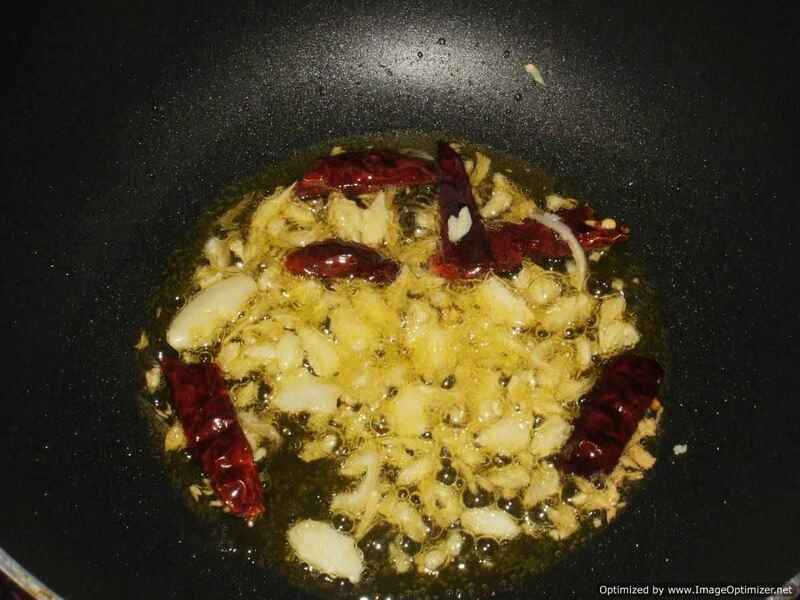 Roast all the spices except turmeric powder and lemon juice, on medium or lower flame, till aroma and flavour comes from it. 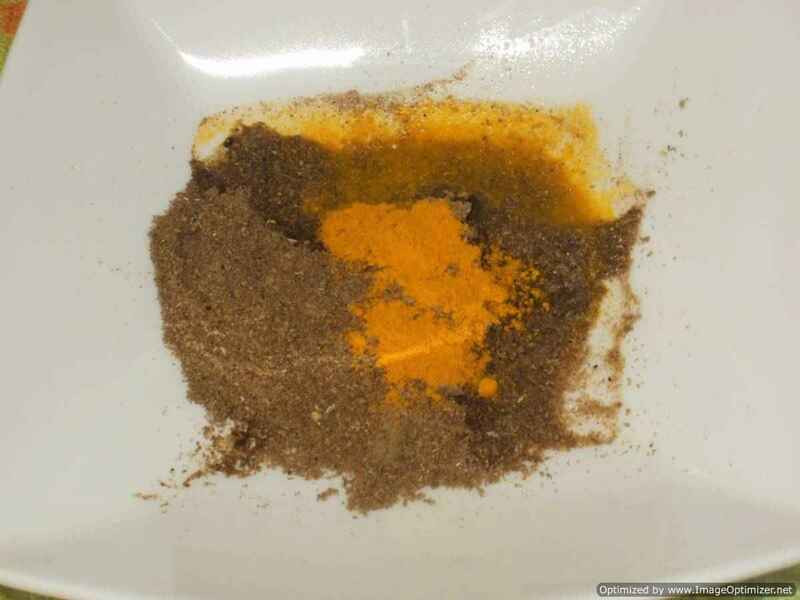 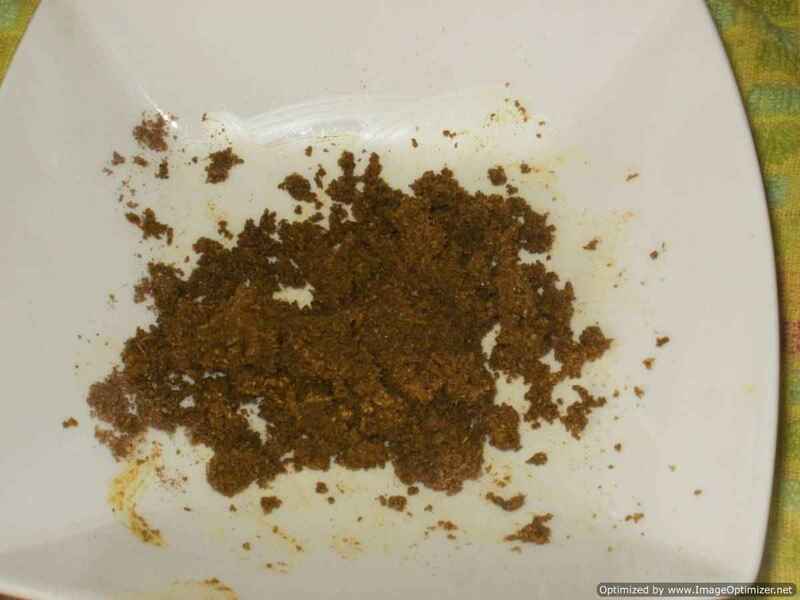 Take a bowl or plate, add the grounded spice masala, turmeric powder, salt and lemon juice, mix it well and keep it ready. 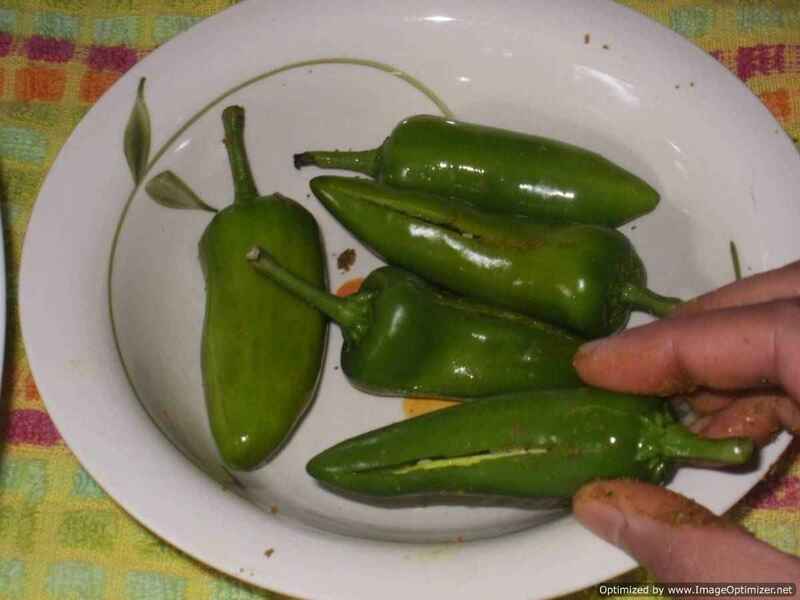 Slit the green chillies and remove seeds from it. 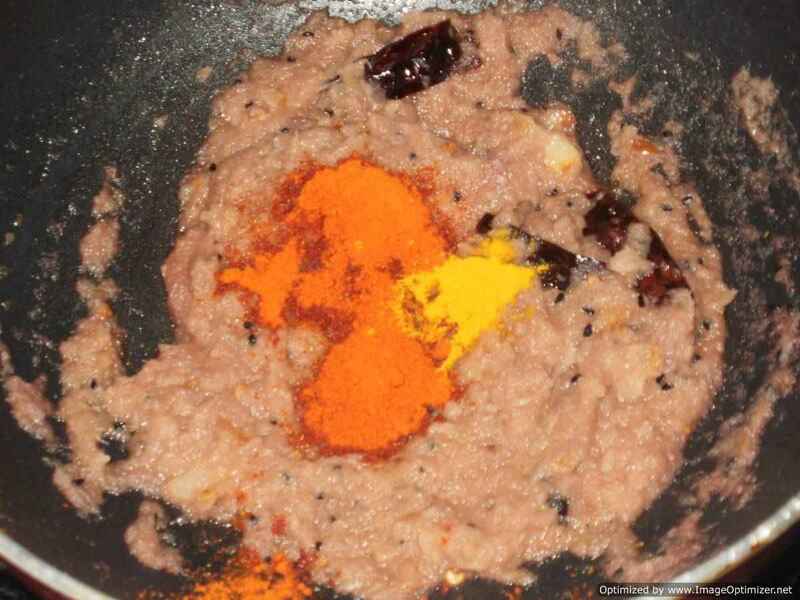 Fill the spice mixture inside the chilli and the remaining spice masala, keep it aside. 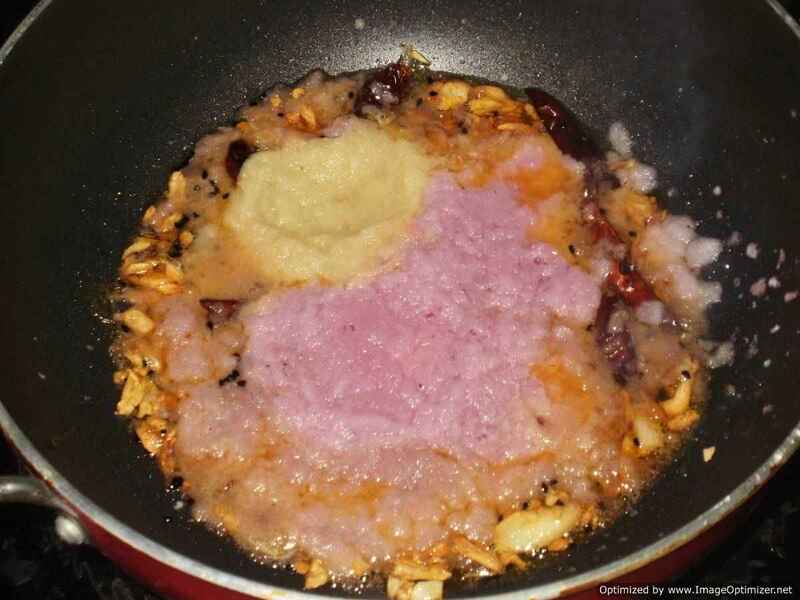 Add onion paste and ginger paste, water1/3rd cup, cook for 5min on medium flame, till its colour changes to golden colour. 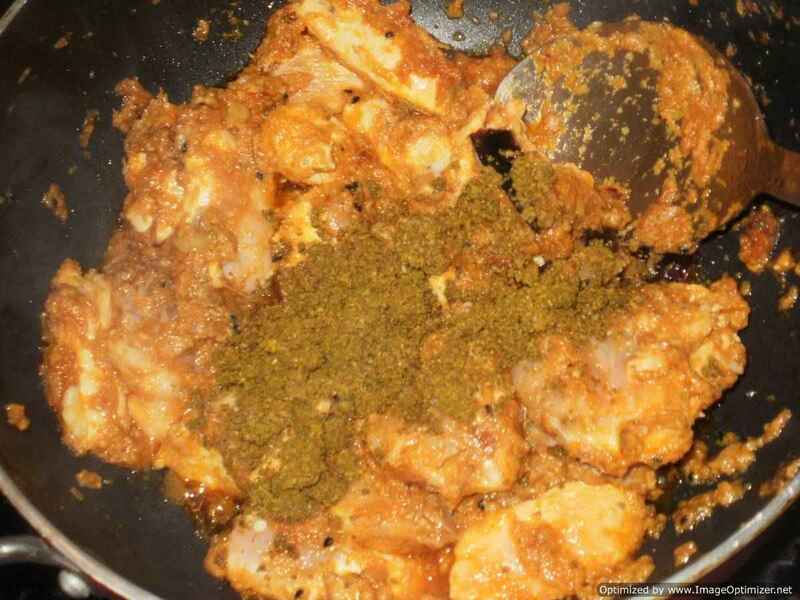 Add chilli powder, turmeric powder and roast for few seconds and immediately add chicken, mix well for 1 to 2min. 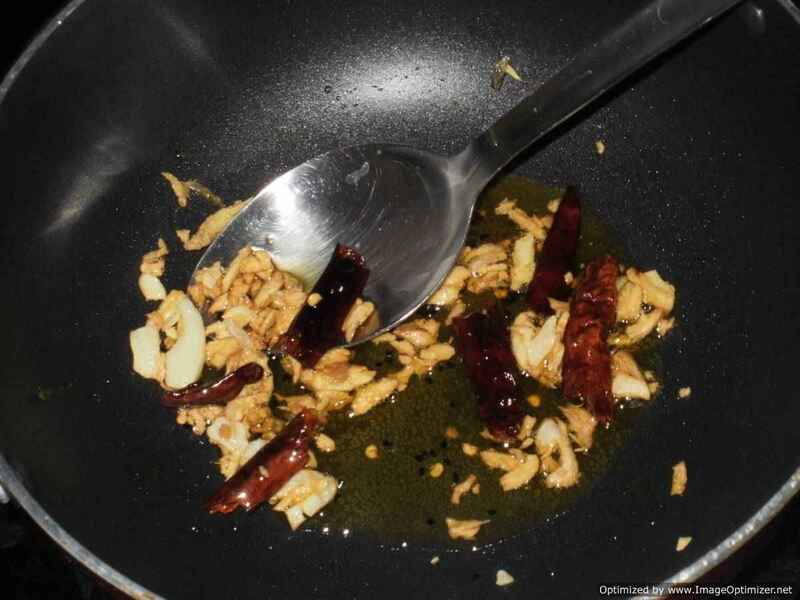 Add remaining Achari masala (1tsp to 11/2tsp) and roast for 3 to 4min, can add little water if spices are burning. 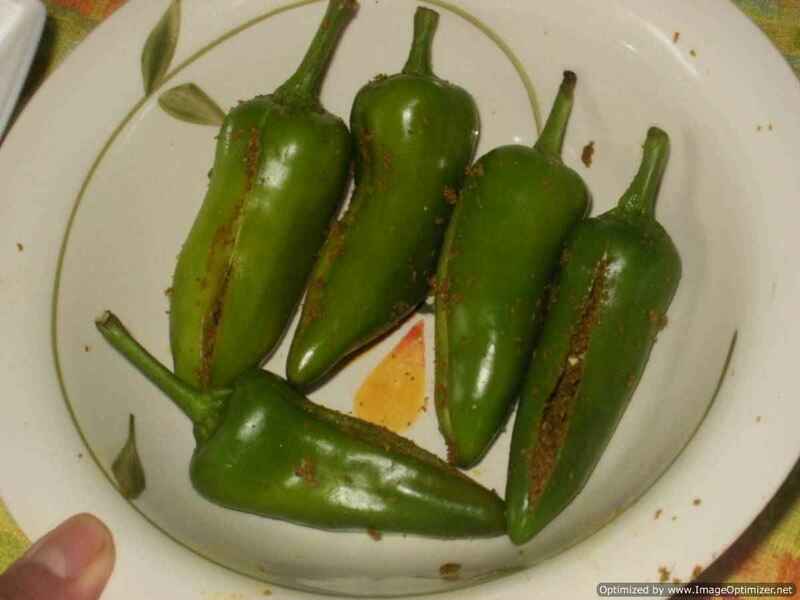 Can reduce the flame in between while stirring. 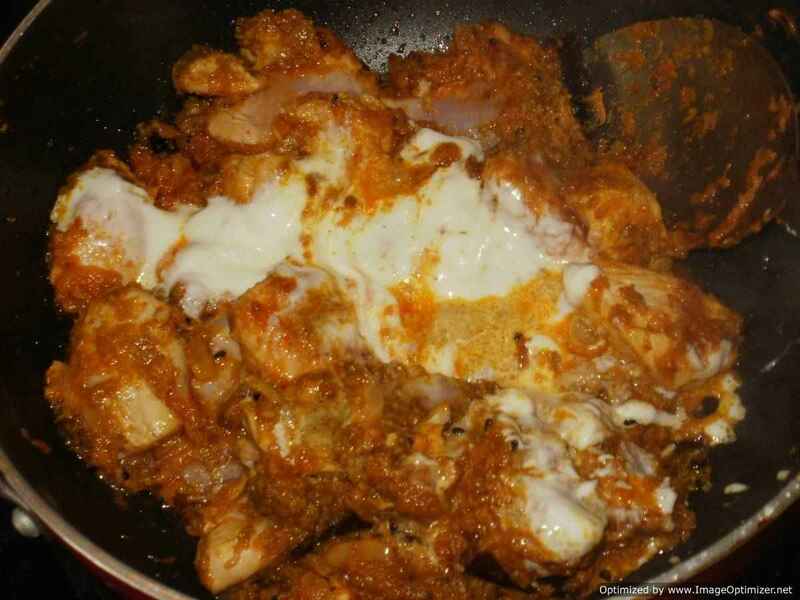 Add curd, water 1/2cup, salt mix well and cook for 10 to 12min, till the chicken is cooked by closing the lid, in between stir the chicken. 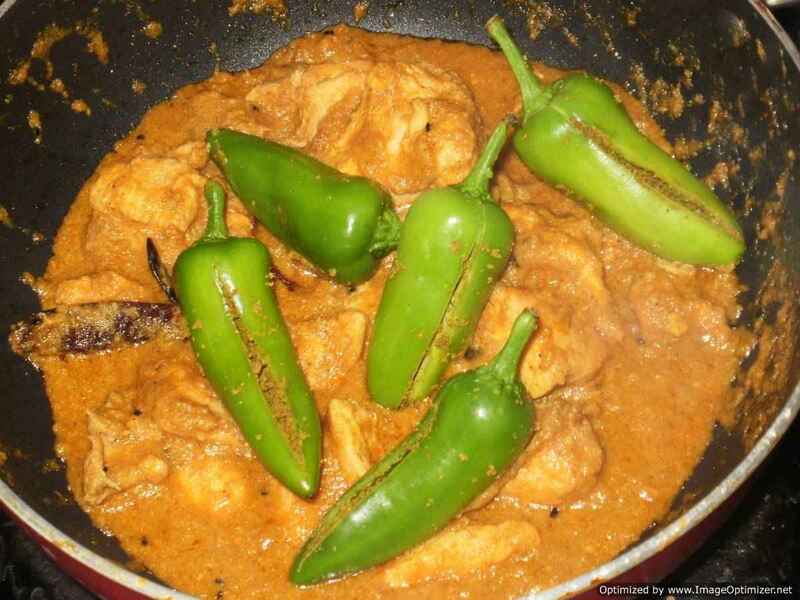 If the chicken gravy is very thick can add 1/3rd cup water, as per your consistency and add the stuffed green chillies. 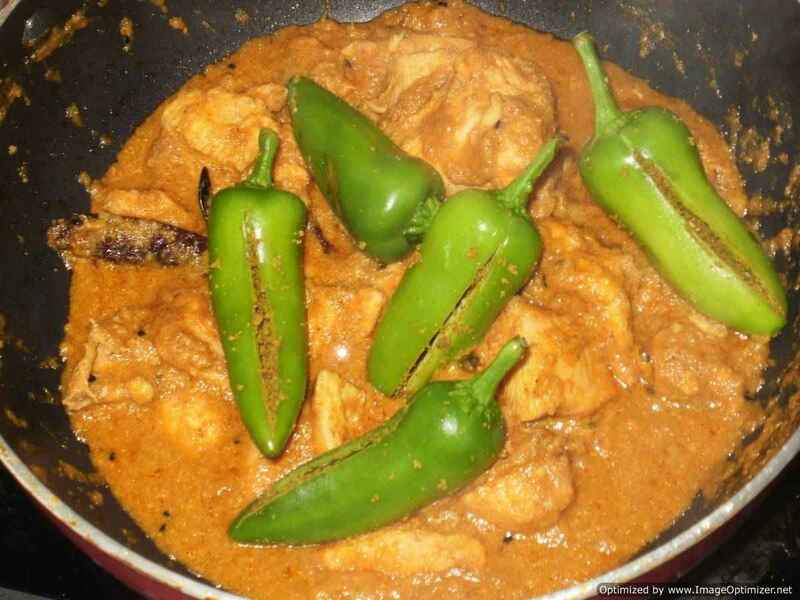 When the chicken is cooked and starts leaving oil, add the stuffed chillies on top, lemon juice, with little oil mustard or vegetable oil 1tbsp, close the lid and cook on simmer for 10min. 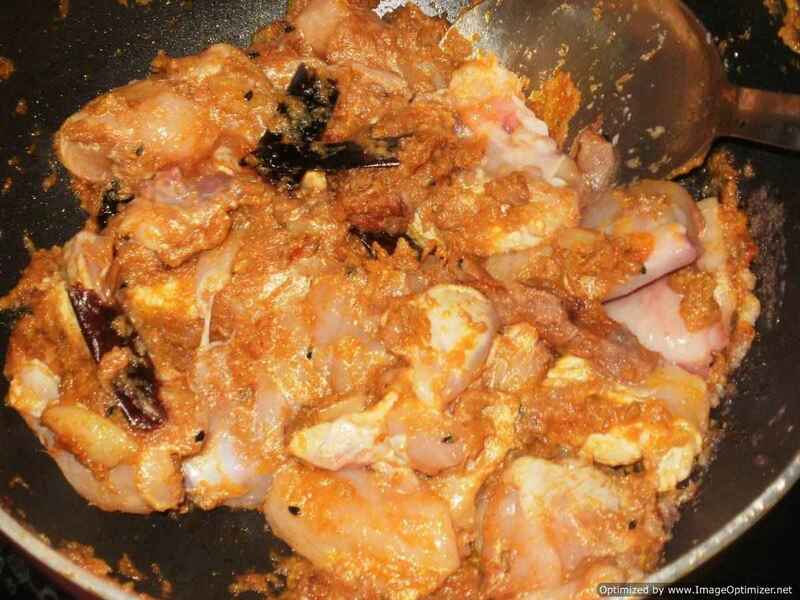 After 10min, Achari Murg is ready to serve; the chillies are soft and can see oil on top as we see in the pickle. 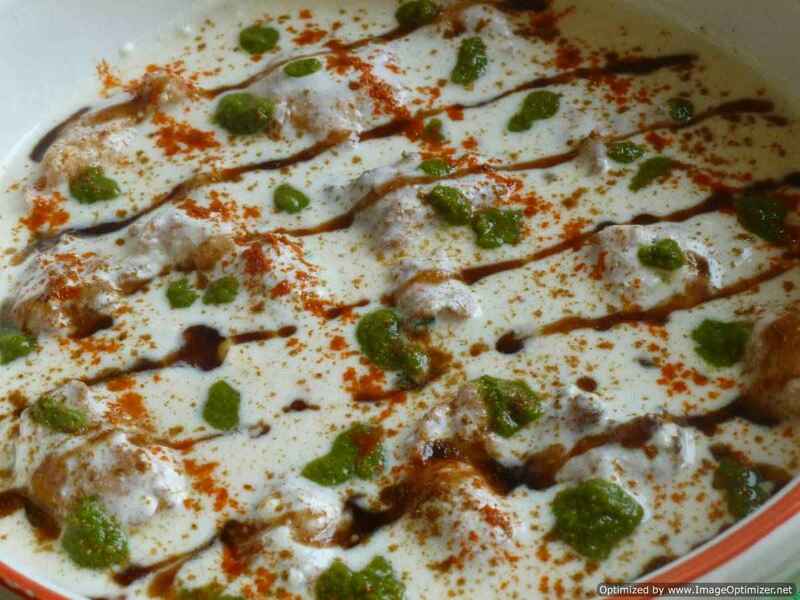 Serve with Naan or plain rice. If the chicken gravy becomes very thick can add little water as per your consistency and cook. 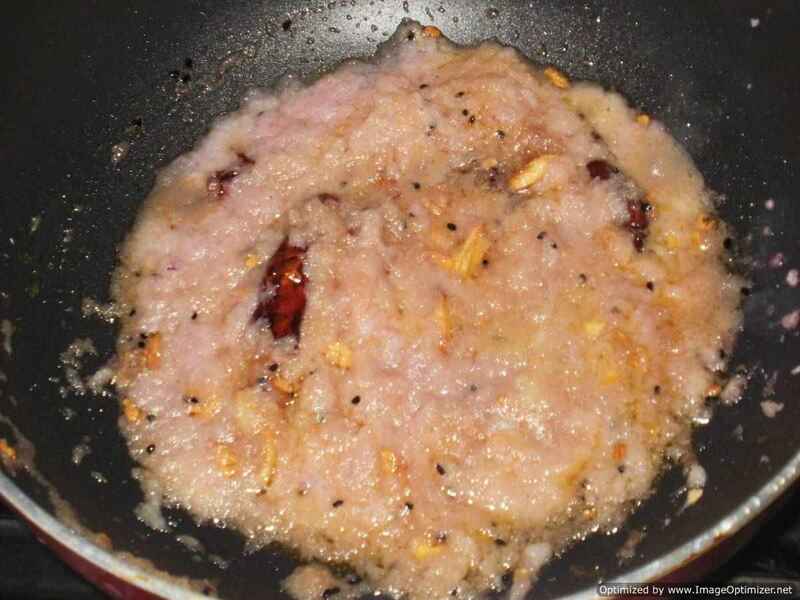 I have added mustard oil for cooking, but in the end I have used both vegetable or sunflower oil 1tbsp and mustard oil 1 tbsp for cooking. 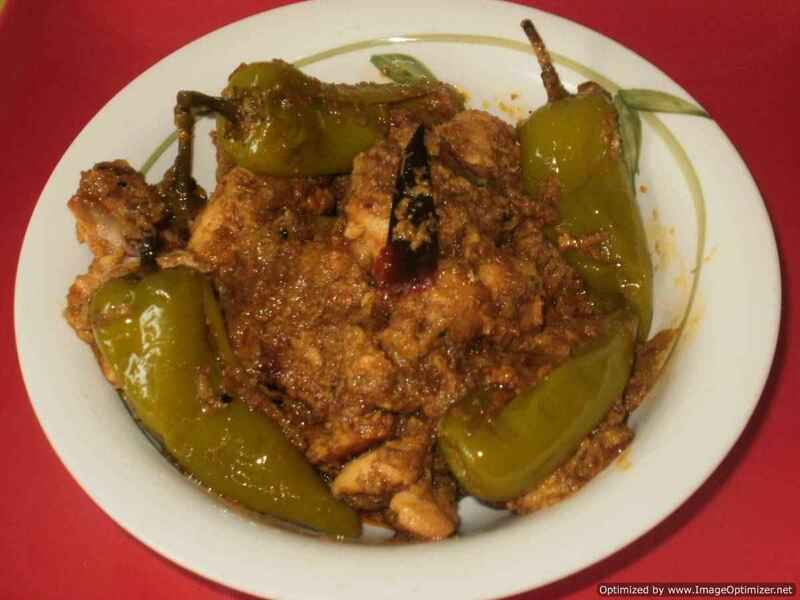 Can cook the Achari chicken in the style of Achari paneer or any recipe related to Achari which Iam posting later. 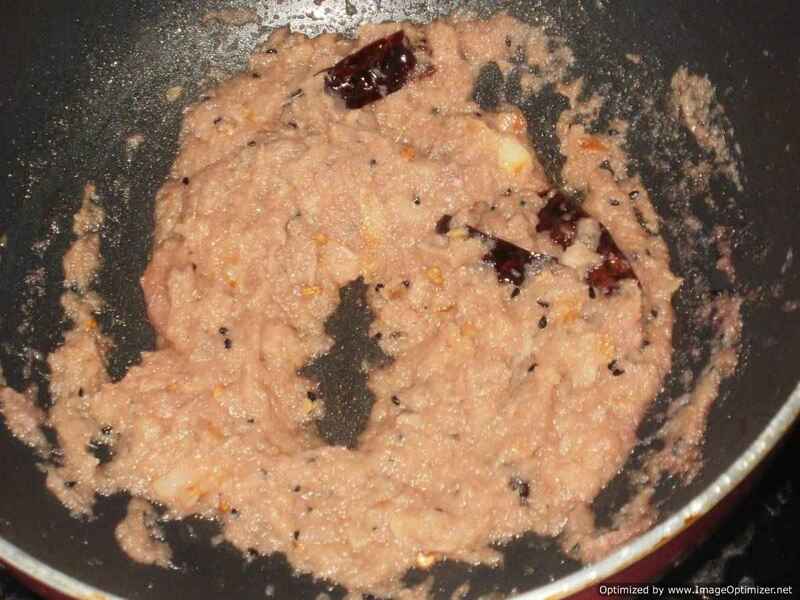 Sometimes I add tomato puri or paste 1tbsp (ready made, concentrated one), for the colour, in the onion paste. 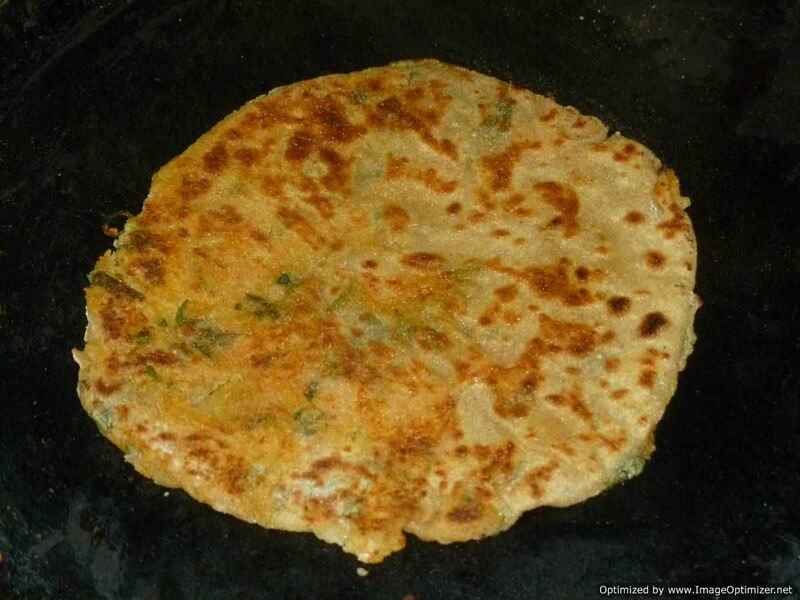 Can add ginger and garlic paste instead of ginger paste and in the end can add ginger julinne few slices.